Take a look down Goodland’s Main Street. What do you see? Today’s main street looks very different from that of 1920. No longer do we have a dirt road but paved brick, and while some of the businesses have gone, some of them are still there but with different names. Goodland's Main Street. Looking south from 11th Street. About 1920. The picture on the left shows Main Street from around the 1920’s. We can see that the street was dirt. Today we have beautiful brick streets that were laid shortly after the photograph was taken, in 1921. The brick streets were laid by Jim Garfield Brown, an Oneida Indian. Main Street was to be sixty-five feet wide and paved from 8th to 17th Streets with 10th, 11th, 12th, and 13th side streets being paved one block on each side of Main Street. On June 7th, 1921 work started. Jim Brown was so fast at laying brick that he could lay 36,000 bricks in a day! Main Street was completed in December 1921 and today we still have bricks on our Main Street. Whilensome of the bricks have been replaced since 1921, it is still a unique piece of Goodland history. More information on the brick streets in Goodland can be found on the Goodlandnet website. Businesses have come and gone on Main Street, but some like BankWest are in buildings original to Main Street from around the 1920’s. BankWest started out as Goodland State Bank and had the corner shape entrance unique to Goodland’s downtown. Other businesses included furniture stores and an opera house. Businesses like these are still in business on Main Street. For furniture we have Garcia’s Home Furnishing and Appliance store as well as Elliott’s Inc. which while not an original store downtown is in a building that is original to downtown. Elliott’s is located in the old Gray Front Hotel and has been in business for over 100 years! While we no longer have an opera house to see a show we have the Sherman County Theater which is an excellent place to see a movie. Other businesses on Main Street include Hallmark, several restaurants, and office supply stores. 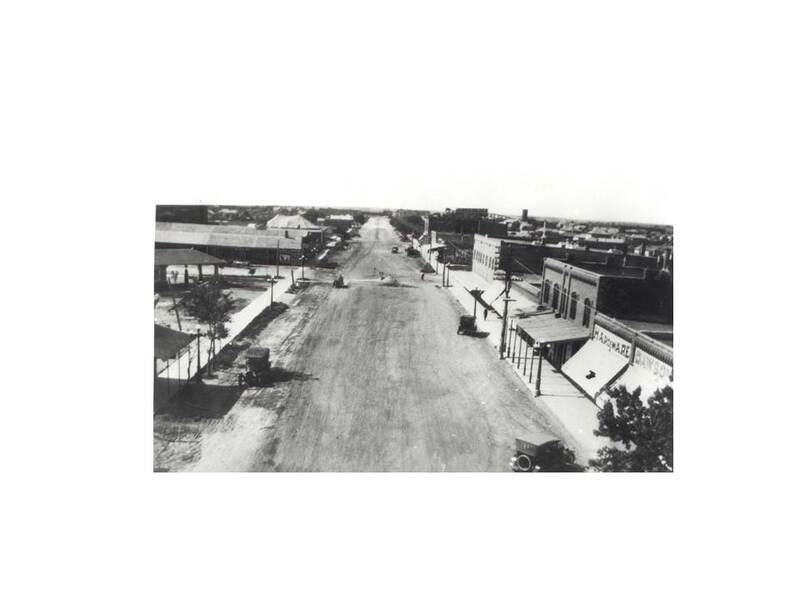 Goodland’s Main Street looks very different from the picture taken in the 1920’s. Today we have a paved brick street and more options for shopping and eating. We have great restaurants and places to buy gifts and furniture. While there may not be as many businesses downtown as there once where, it is a busy part of Goodland and has a unique atmosphere. ← Houses shaped like a grinder?